There are a few ways I could intro this post, but the first thing that popped into my head was the opening sequence to a truly epic (and yes, I mean epic) Nikelodeon show of the mid-2000s, Avatar the Last Airbender. Earth, air, water, fire. Truthfully, I've never taken much time to think about the elements but, as you can see, people certainly have. The creators of Avatar the Last Airbender based an entire world around people wielding the elements as both tools and weapons. From the elements, come stories. From everything, come stories. Now that the nostalgia is running at peak levels, this week our assignment was to capture the four elements existing in both literal and metaphorical senses. I enjoyed this assignment because it caused me to stop and consider the artistic side of life which is, unfortunately, something that gets lost in the busyness of day-to-day living. Stopping to think about and photograph the four elements led me to consider how much they impact every single moment of life. Each time I came up with a new photograph, the simple concept-- an element-- drew a memory in connection with the element/object that I was photographing. This closely links to what we have discussed in class, re: the comparisons between alchemy and storytelling-- little moments turning into something much bigger than themselves. We've talked about alchemy being the refining of base elements into something greater. The typical example is lead being turned into gold. In a very similar way, the reference point of the elements turned into stories that came flooding back to mind. I'll share a few, in the course of this blog. 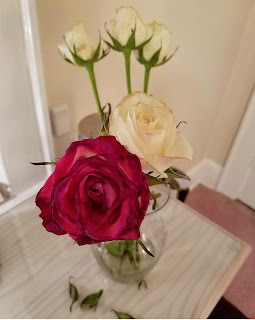 The remaining flowers from a surprise bouquet, starting to die, but still beautiful. In this photo you can see death around the edges of each petal, corresponding in real life with the sickly sweet smell of decaying flowers, a sure sign that the roses are reaching the end of their brief lives. Lovely until the end. 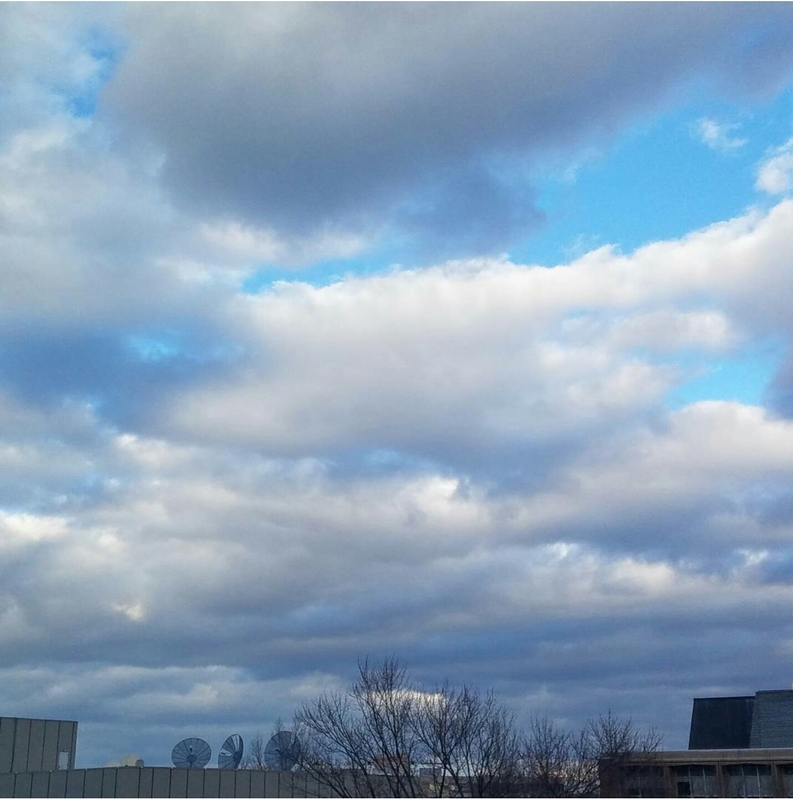 I took this photograph from the window of my office one afternoon when the sky looked particularly breathtaking. The clouds were racing through the sky and seemed low enough to touch the tops of the buildings. My favorite candle, and one of the few scents I'm allowed to burn while living at home with my parents. My mom is very sensitive to smells and, unfortunately, I love candles, so this candle is our compromise. The scent is a rare moment of compromise between the two of us, and I've already burned through quite a few. I took this picture right after I lit the candle, so the flames were in the midst of leaping up, attempting to attain equilibrium. This photo might look familiar, as it's a different view of the roses above. I thought everything about the flowers was so beautiful that I took pictures from several different angles. This is the base of the vase, the water that kept the dying flowers thriving for just long enough. 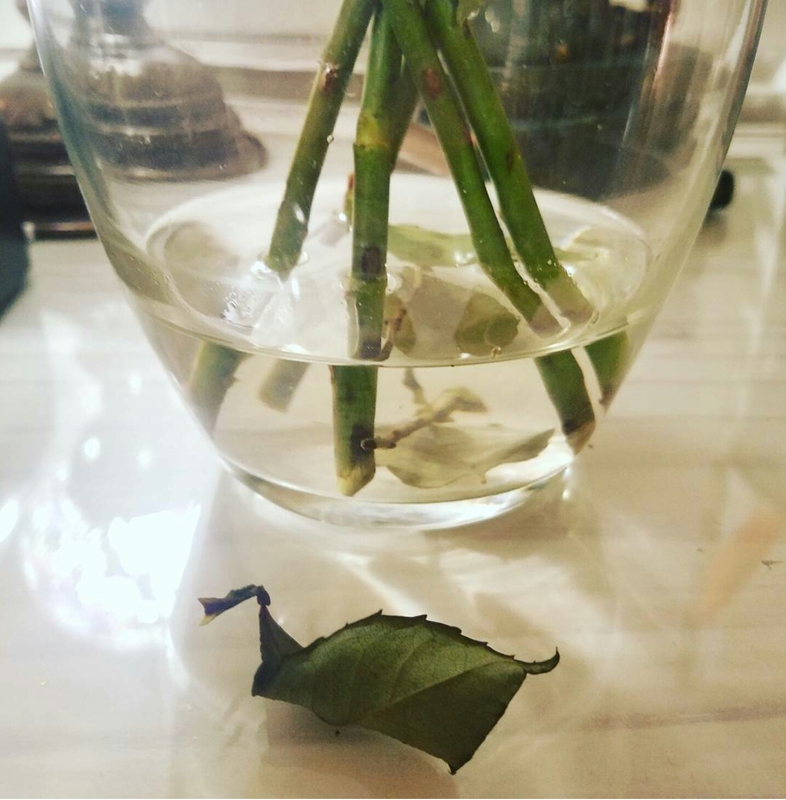 Even despite the water, a leaf has already fallen and shriveled. And now for the metaphorical representations! I have to say, this part was difficult but I liked it because it made me stop and consider the way I looked at the world, and how things are represented. When I think of earth in a metaphorical sense, I think of recycling and protecting the environment. 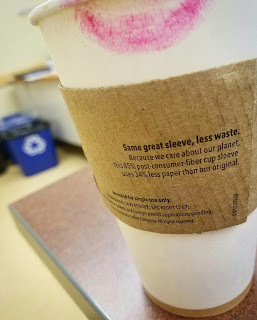 I had the thought to photograph the recycling symbol in some way, but it took me a while to come up with this shot. I was drinking my Starbucks tea when I looked down, and it hit me-- "Because we care about our planet," with the recycling bin in the background. Earth! Wind chimes. Although these chimes dance infrequently, only exposed to air when I open a window, their faint tinkling music is a beautiful reminder of the air flowing around me. 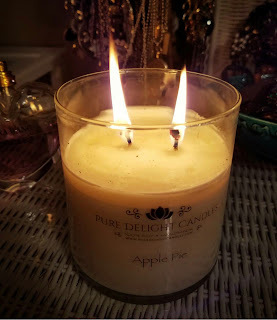 Above, I mentioned my love of candles. 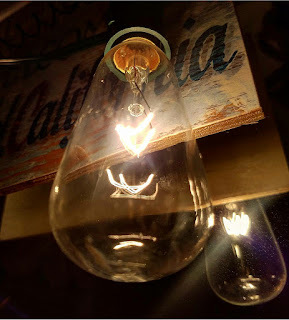 I also love old lightbulbs, and this is one of many Edison-style bulbs that I have around my home. 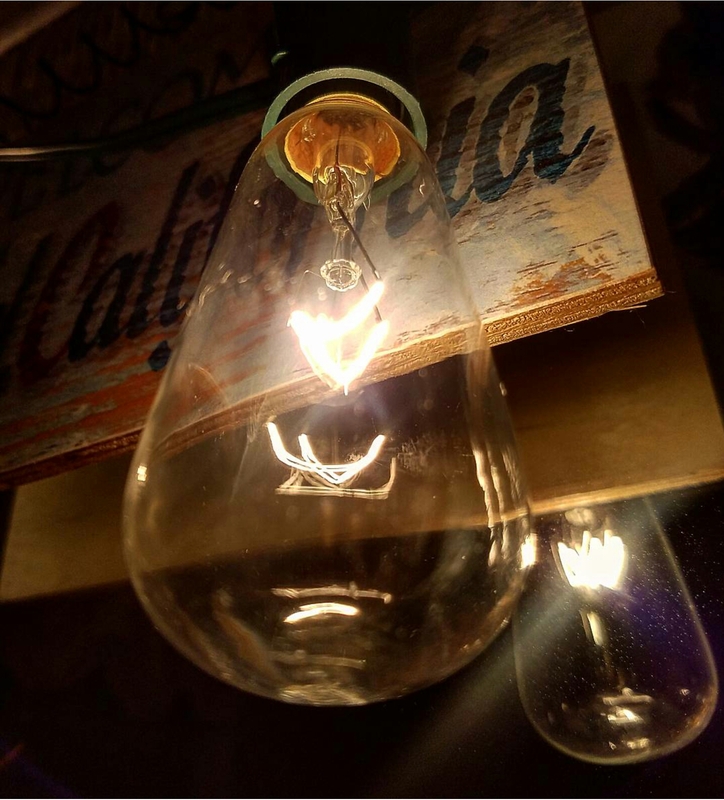 The spark within the bulb is clear and bright, like a confined flame. This is a mixture of items from my personal beach collection. Ever since I was a little girl, I have collected sea glass from the beach in Maine, where I have vacationed almost every summer of my life. 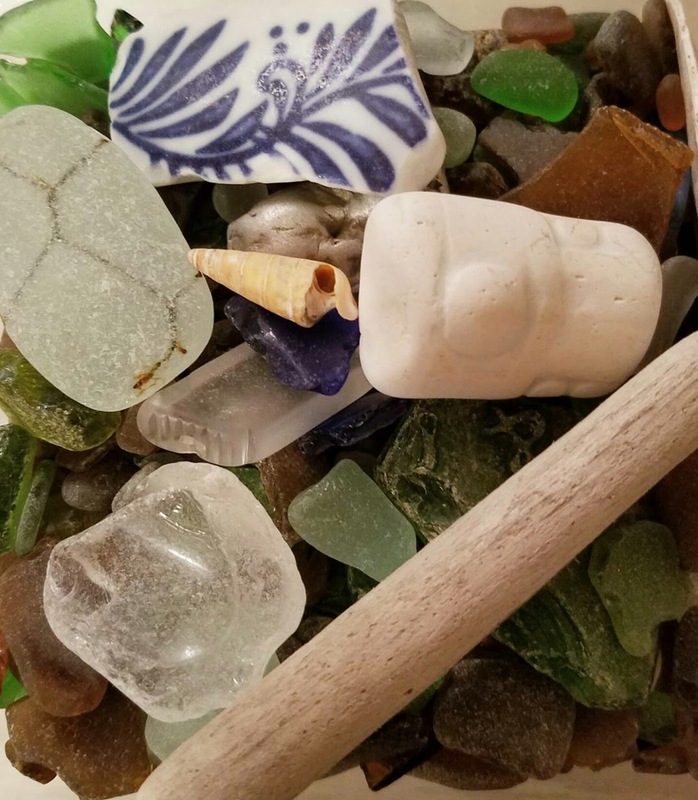 The items on top are other beach finds that I picked up on the shore of Lake Erie, when visiting my boyfriend's family at their vacation house. I love to think about how for unknown years, the ocean housed and, in a way, created these treasures. This week's reflection was more difficult than I thought it would be! The literal representations were pretty straightforward, but the metaphorical elements provided a challenge. I especially struggled to find metaphorical representations of fire and air, before settling on my lightbulb and windchime photographs. That being said, it was a fun exercise and it helped me to connect the elements to stories and memories, which is what we have been discussing in conjunction with digital alchemy. 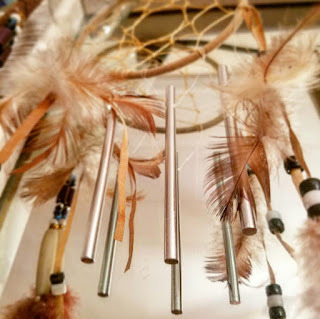 I love the sound of wind chimes, they are so calming and somewhat idiosyncratic, no? The picture of the pieces found at the beach in Maine is really textural, you can see how they were once sharp edges, but they have grown a kind of soft with the scraping of the sea. I want to pick those shards up and feel them in my fingers, especially the sea glass. Wow! Super great choices and discussions. SO glad you bring up Avatar in your post. I think there's room for more tie-ins to #netnarr for sure! :) Especially if we are also bringing in the dive into Spirit from Korra. I love how you weave together the (4) elements in your life. Keep up the awesome posts. Hah! You are most certainly welcome, watching Avatar is always the right choice. Thanks for your response! Your post was awesome and made me think a lot! I cant wait to read more!